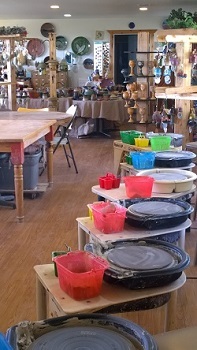 These pottery group sessions are available at $25.00 a person with a six person minimum. The price includes all instructions, clay, glazes, 120 minutes on the potters wheel, unlimited glazing time, and both firings. Be sure to call to book the time you want, 210.494.8633, and you can pay for more people at that time.